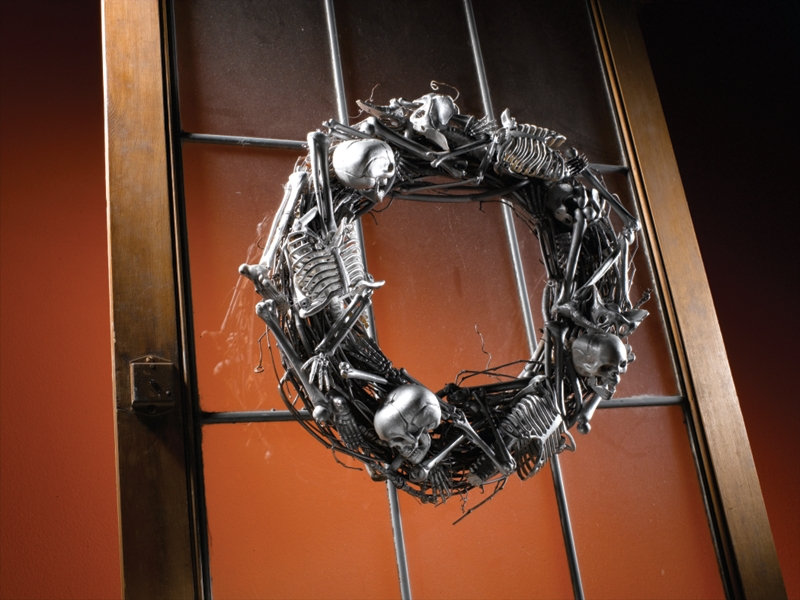 Greet trick-or-treaters with a dramatic and spookily splendid bone wreath this Halloween season. Bone Wreath was designed by Kathleen George. Learn how to transform inexpensive holiday décor into creative and unusual seasonal stylings by viewing more Fall spray paint projects from Krylon®.